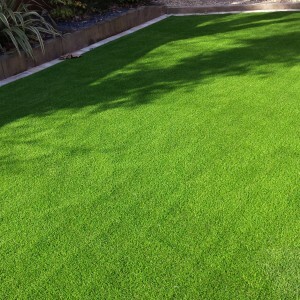 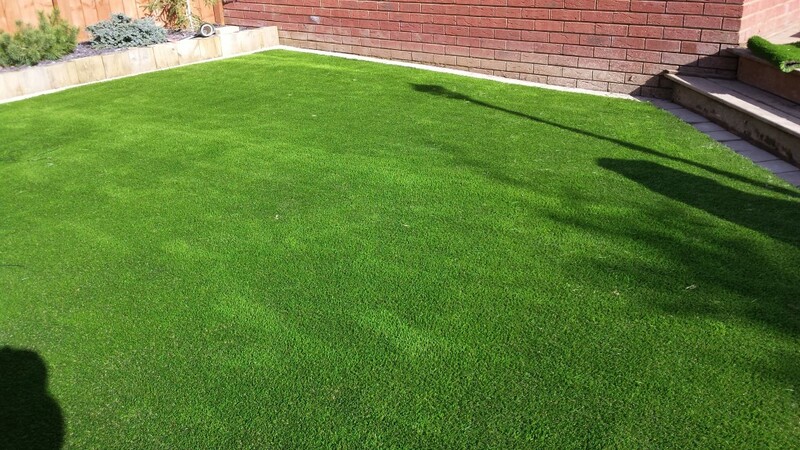 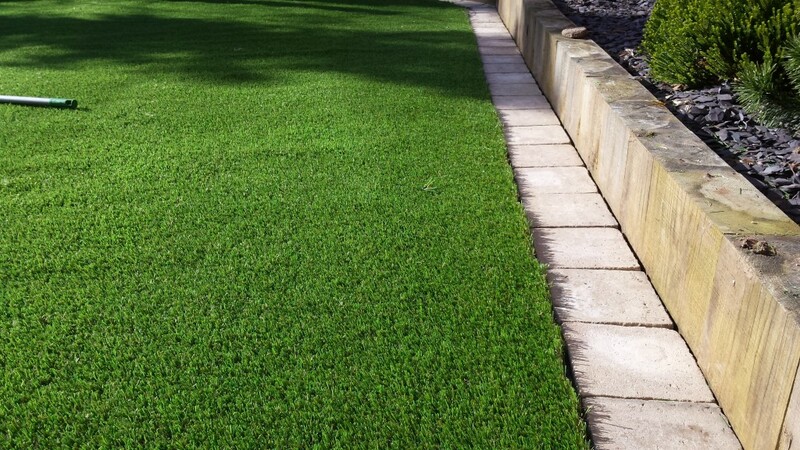 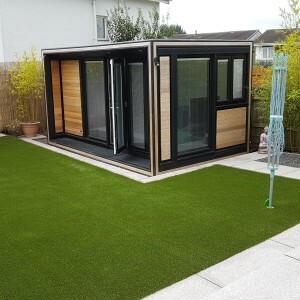 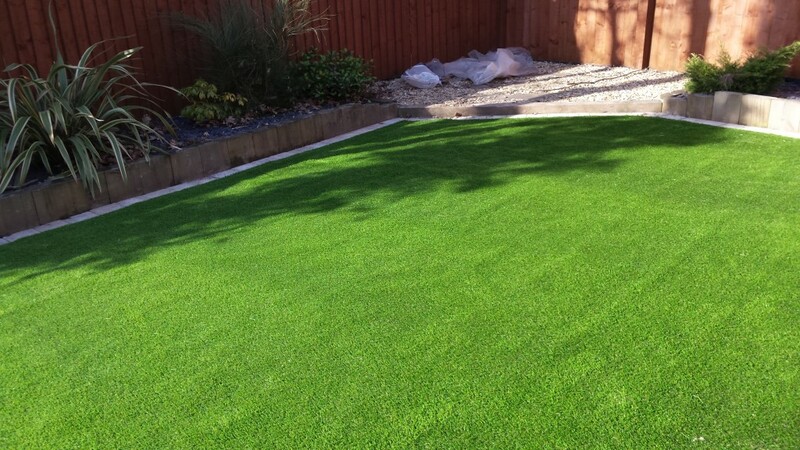 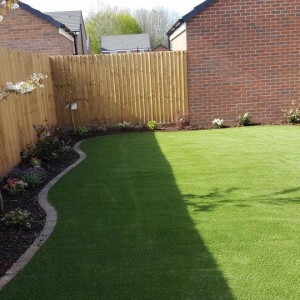 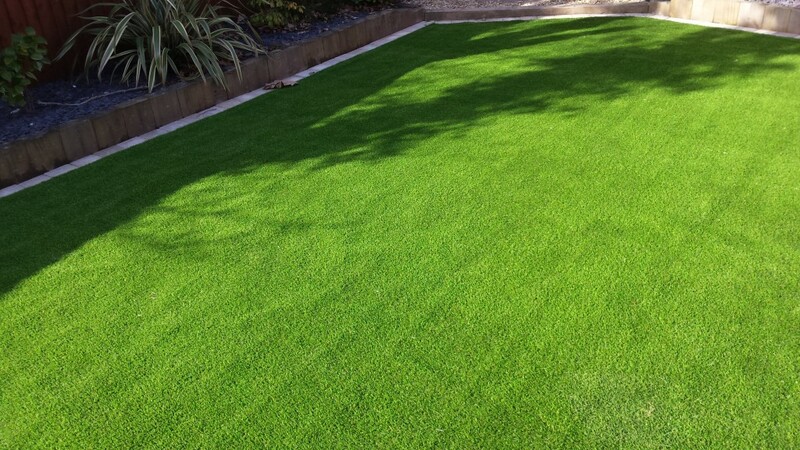 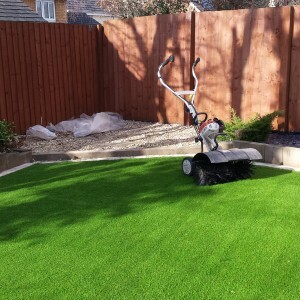 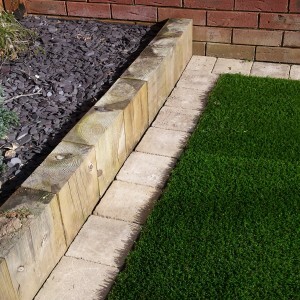 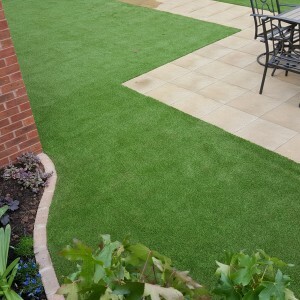 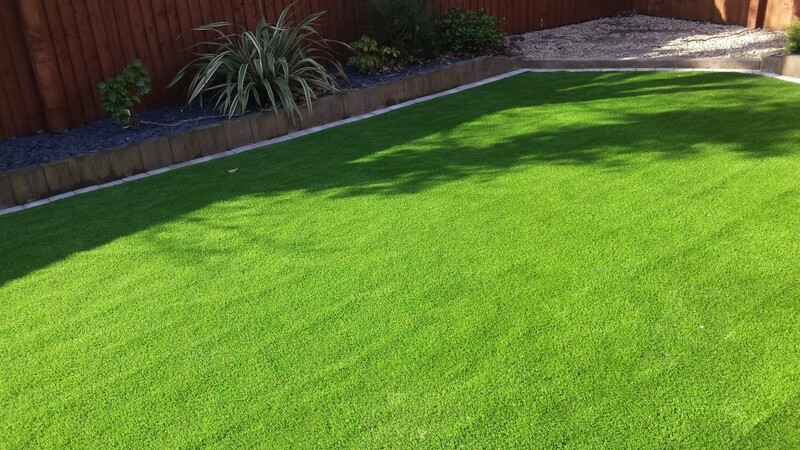 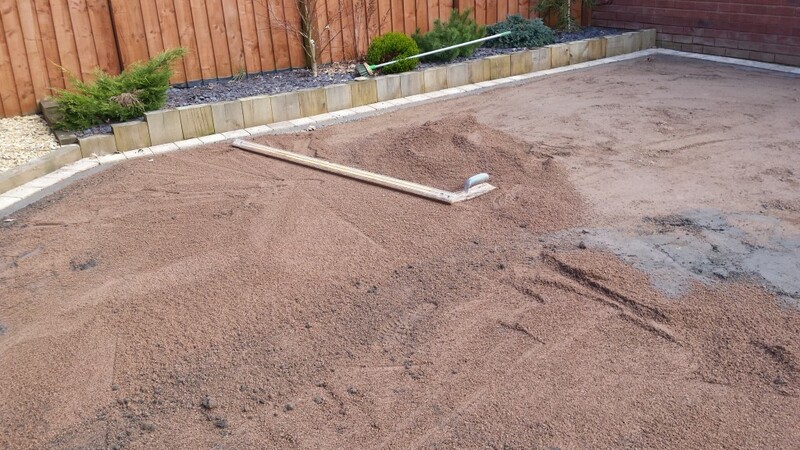 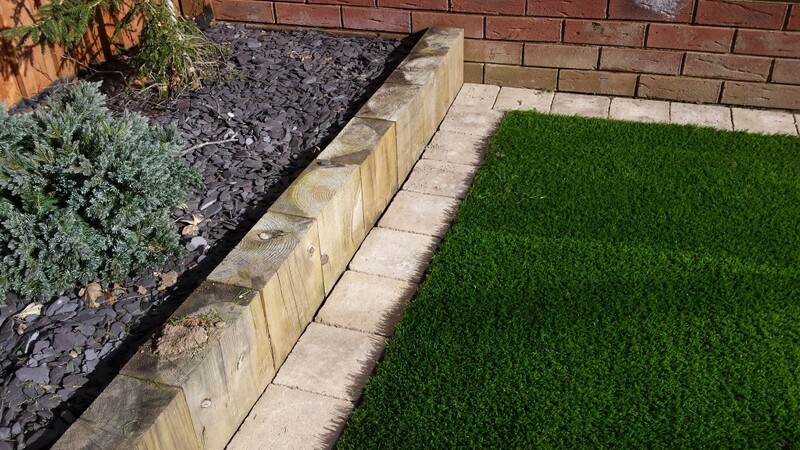 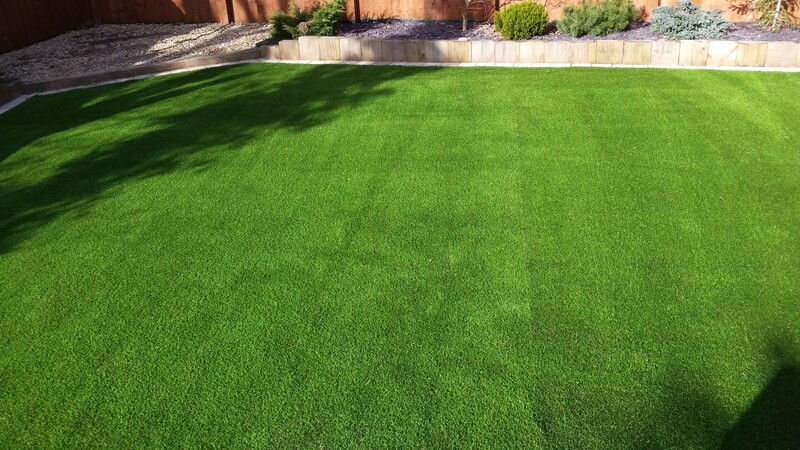 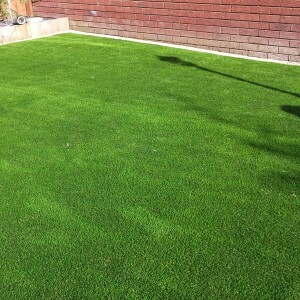 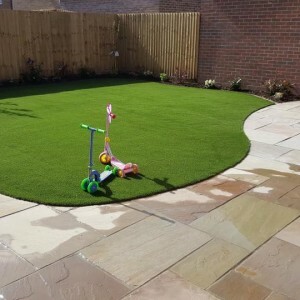 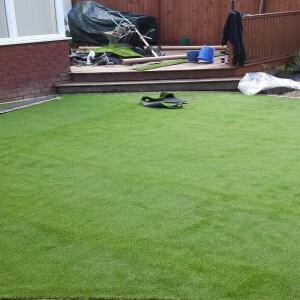 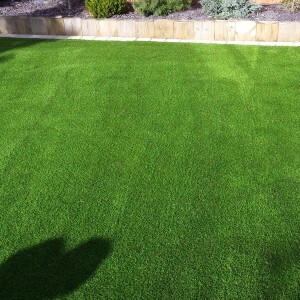 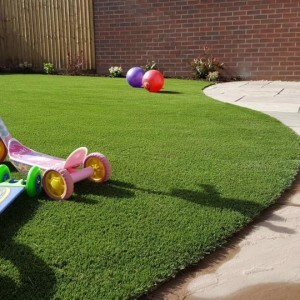 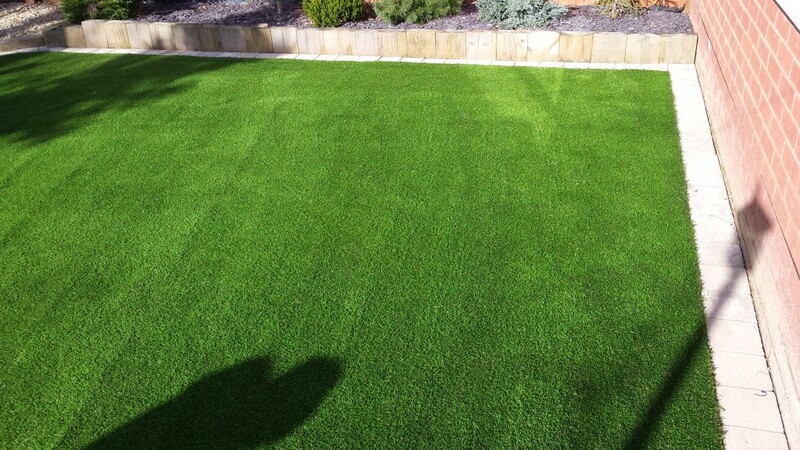 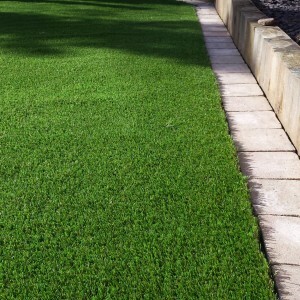 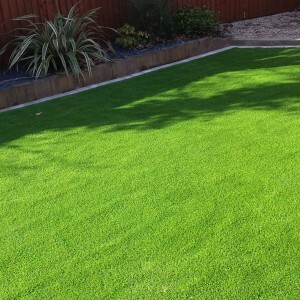 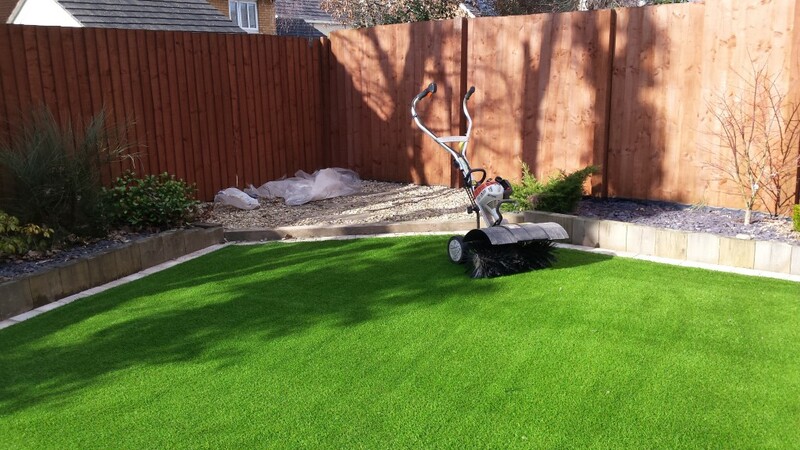 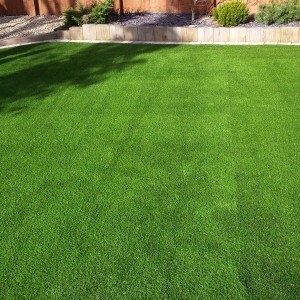 On this Swansea project we were requested to install the Elise Artificial range from Namgrass which is a highly popular choice because of the memory yarn, its highly dense fibres and a ten year defect warranty! 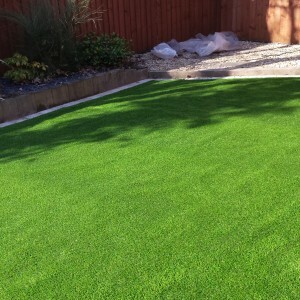 Artificial Grass does not get much better than this. 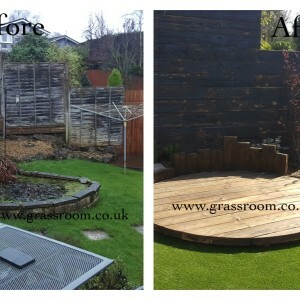 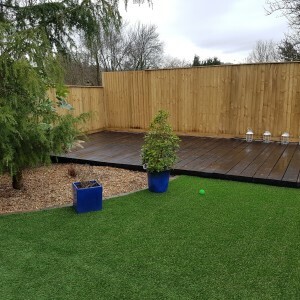 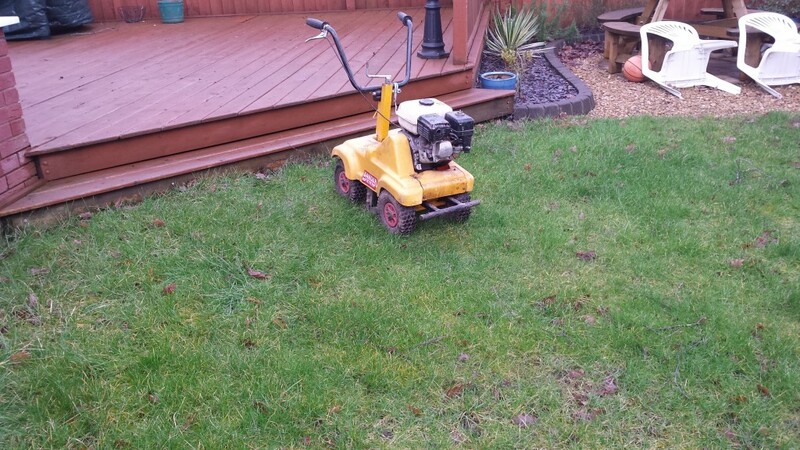 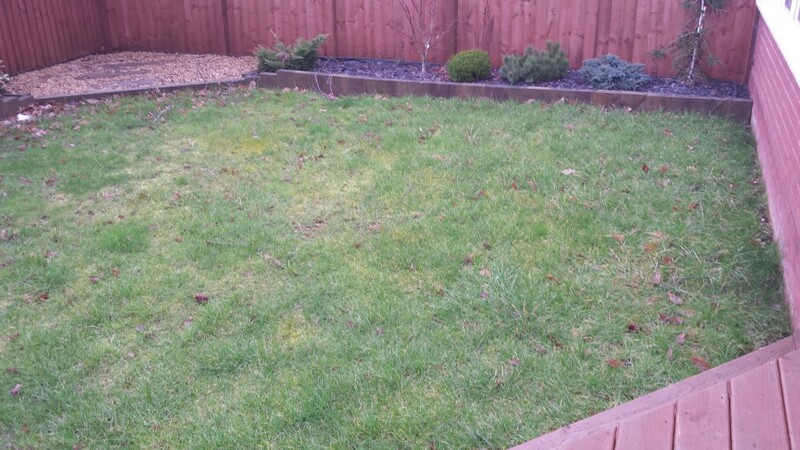 This discerning client opted for a luxury artificial grass installation due to the muddy and boggy state the developers had left the properties garden in. 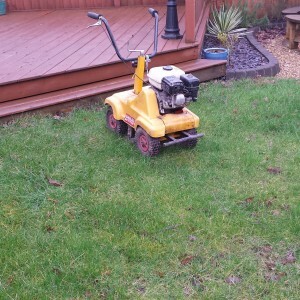 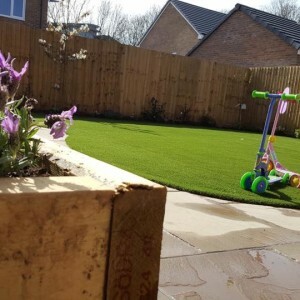 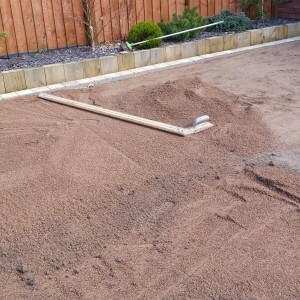 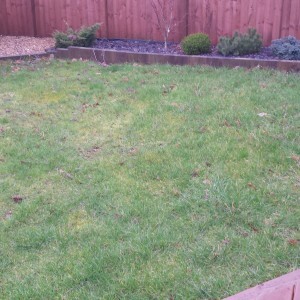 As common with new builds the Rear garden was a mess and stood little chance of producing a high quality natural lawn without serious groundwork and maintenance. 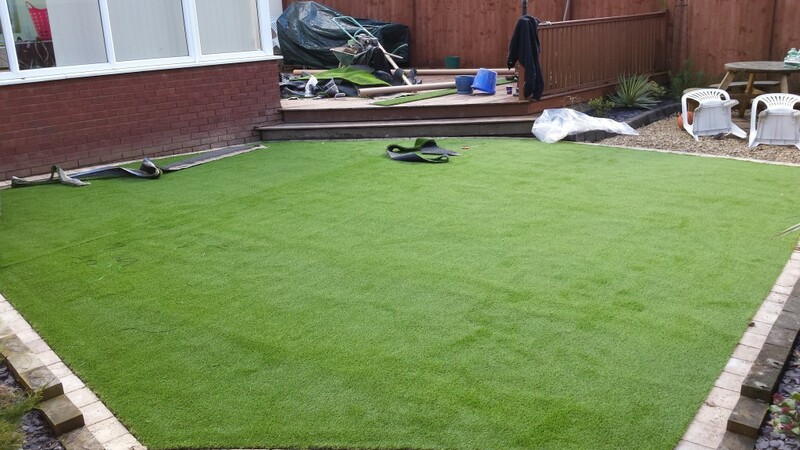 Luckily for us artificial grass requires no watering, no maintenance and can turn the most dire of gardens into your personal Eden.